• Further research suggests that over 40% of individuals with depression, anxiety and other mental health conditions skip treatment and other care needs because of the cost4. 1. Australian Institute of Health and Welfare 2013. Health expenditure Australia 2011–12. Health and welfare expenditure series no. 50. Cat. no. HWE 59. Canberra: AIHW, p. 117.
health-welfare-expenditure/ health-expenditureaustralia-2015-16/ contents/ data-visualisations [Accessed June 2018]. 3. Essue B et al. 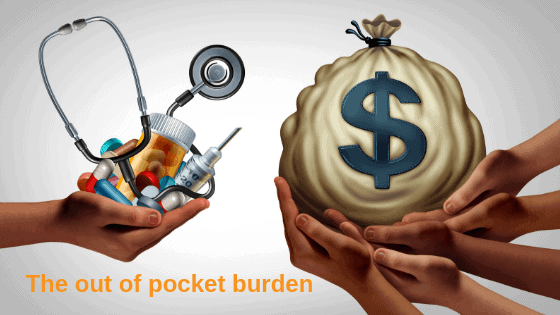 Out-of-pocket costs of health care in Australia. Submission to the Senate Standing Committee on Community Affairs. 4. Callander EJ, et al. Out-of-pocket healthcare expenditure and chronic disease — do Australians forgo care because of the cost? Aust J Prim Health. 2016;23(1):p.15–22. 5. 15. Australian Institute of Health and Welfare (2013). Stroke and its management in Australia: an update. Cardiovascular disease series no. 37. Cat. no. CVD 61. Canberra: AIHW. 6. 6. Australian Institute of Health and Welfare (2017). Back problems. Available from: www.aihw.gov.au/ reports/ arthritis-othermusculoskeletal-conditions/ back-problems/ what-are-backproblems [Accessed May 2018].